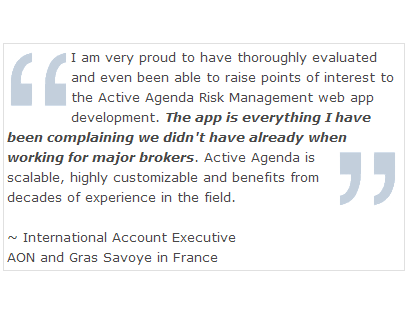 Active Agenda is a web application for the management of risk. 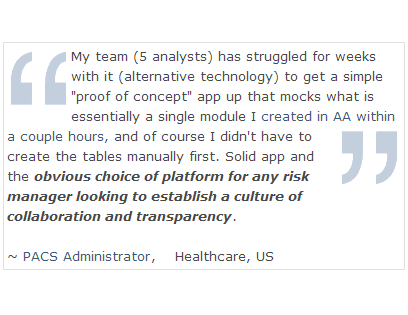 It is also a highly iterative, rapidly customizable, collaborative communication framework. 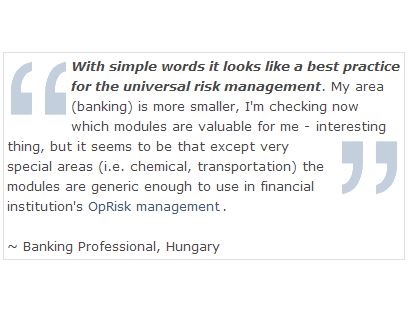 Risk is uncertainty. Every operation experiences risk, but few operations have effective systems for managing the wide variety of risks they face. 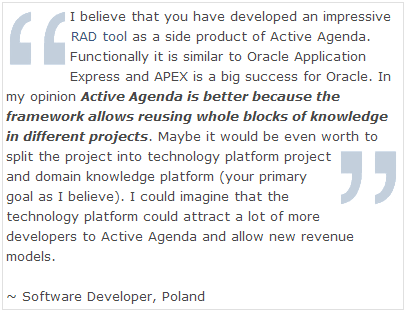 The operative idea behind Active Agenda is very pragmatic and simple: Collect more data, in order to better identify, understand, and address problems. This may seem like an obvious concept, but it is not a common practice. In fact, many organizations use programs, measurements, and processes that inadvertently reduce the amount of data collected about risk. Current systems for these purposes are usually cumbersome (paper-driven, bureaucratic) or improvised (spreadsheets, home grown databases). They are often disconnected, each being confined to a particular department or location, and reporting is often manual and therefore slow. Software products do exist, but they tend to be overly specialized and fail to solve similar problems occurring in multiple departments. 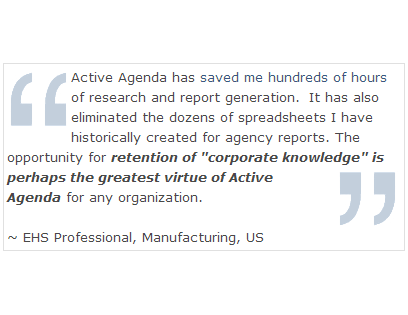 Active Agenda is a general-purpose risk management database and collaboration platform. It addresses a staggering number of topics and is rapidly customizable to suit the needs of virtually any organization, of any size, in any industry. Information is highly cross-referenced at the detail level, yet can be summarized, charted, and analyzed in a myriad of ways. 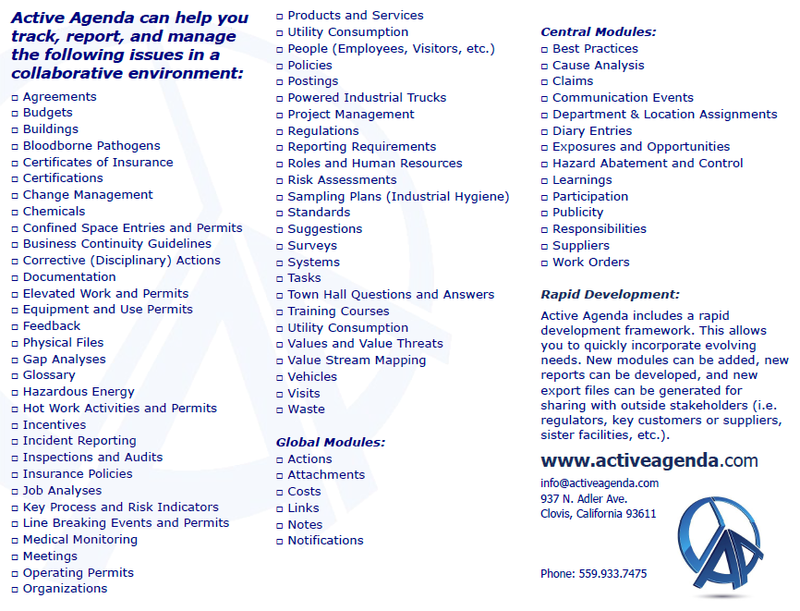 Active Agenda is ideal for helping organizations transition from a reactive to an active operating culture. Our mission is to "Reduce workplace risk, through global collaborative development and free distribution of open technologies and ideas." We distribute our work under the Reciprocal Public License.